“There’s nothing else that can help us, it all depends on the “yes” of a mere politician. The fact that there are other children in Spain who take it, drives us crazy” Irene Peralta is the mother of Carlos and Mario, twin boys who are only nine years old. They both suffer from a severe neurodegenerative disease called Duchenne Muscular Dystrophy (DMD). “Sergio is fully aware by the fact that he has a disease, we tell him that his muscles are broken and that Mum and Dad can’t afford to pay for them to be cured.” Carmen Baltasar is Sergio’s mother, who is seven years old. Sergio also suffers from the same condition, and gradually, he is losing function in his muscles. In a reduced margin of time, he will lose his independence and his motor ability. Carlos, Mario and Sergio, need a drug called Ataluren to slow their neurodegenerative disease down, as it will cause them a premature death and it doesn’t have a known cure. Aragon is the only autonomous region in Spain that does not provide the drug. There are 12 children with the same mutation in Spain who do receive the medicine but Carlos, Mario and Sergio have been waiting for almost two years. DMD is caused by a mutation in the gene encoding the protein known as dystrophin. It causes a progressive muscle weakness which leads to serious medical problems, from respiratory, to cardiac and skeletal. Children end up using a wheelchair roughly when they turn 12 and their life expectancy doesn’t go over 30. 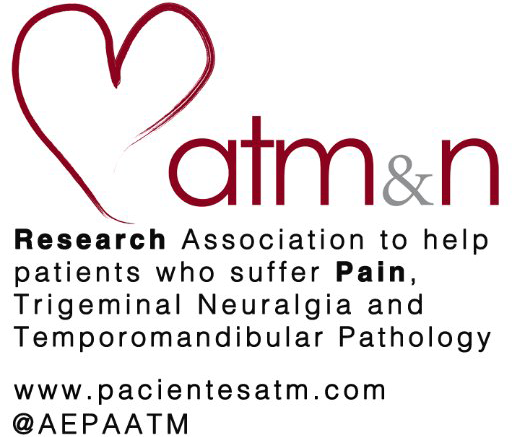 These children’s parents have been suffering from this agony since September 2014, the month from which they have been requesting Ataluren, which would be able to slow the disease of their children down. Irene Peralta, mother of the twins Carlos and Mario, and her husband, Roberto, live in a small town in Zaragoza, in Caspe. The family receives El Español in their house to explain their struggle, their demands and their “need”. They have been fighting for years to “dignify the slow degenerative process that the condition produces”, Irene states. Roberto and his wife communicate all the sacrifices they have had to undertake so that they can “cry out in despair” and make the reality of their children public. “Other regions have had to suffer to get the drug, but none have had to go this far. I don’t understand how the Minister of Health doesn’t come to his senses”, Irene says. Roberto, calmly, reviews the mobilizations provided for the last two years. More than 400.000 signatures in change.org, massive gatherings in Caspe and surroundings and the presence in the celebration of the ‘Cincomarzada’ in Zaragoza with a collect of more than 2,000 signatures in a few hours. He even remembers with bitterness several meetings with the Minister of Health of the Government of Aragon; Sebastian Celaya. After two meetings they were able to get them to lend some help but, it was “insufficient to slow the disease down”. Roberto recognizes that the “help” of the Minister isn’t enough for him, as his hope is to get the medicine. Irene recognizes that “other regions gave the medicine at the time because of the political and social pressure and some where even given in the middle of an election campaign.” Susana Diaz, for example, president of Andalucía and with the same political party as the Government of Aragon, agreed to provide the drug. Roberto doesn’t understand the difference, “the same political party and they consider different social needs”. Irene and Roberto have sometimes become demoralized and end up not believing anyone about their children’s future. They daily see how Mario and Carlos are decreasing their mobility and they say how they’re already thinking about making an elevator for their house (they’re staying in a single family home). The twins increasingly arch their back more, have crooked backs and go on their tiptoes because of their inability to move their muscles completely in their legs. According to their parents they aren’t able to get out of bed when they’re tired. Each day they gradually lose more mobility and they fall down several times a day. “They know more than they say, they know they’re missing their medication, and they won’t give it to them, they know.” Roberto assures. Carmen Baltasar and Aurelio Sanz, are Sergio’s parents, who is seven years old. In the meeting with El Español they admit their inability as parents to give an answer to their child’s need, and they claim that they can’t do anything except wait for the Minister of Health to give in and give the medication for “social justice”. The family situation that they’re going through has an impact in their economic and job precariousness; they have to expand their working hours to the maximum, as well as prioritize the expenditure in Sergio’s attention. Carmen explains how her husband “has doubled his shift with the objective of saving up”. They are both aware of the fact that if Sergio doesn’t get the medication they will have to buy a car accessible for wheelchair and find a way to cover the daily necessities that his child’s health requires. Aurelio shows temper and anger for not understanding the situation faced by the “no” of a politician. He even tells the “pride” that the Minister of Health, Sebastián Celaya, showed when he met with them. According to Aurelio, when he was listening to Sergio’s situation, the Minister warned them that “before being a politician he had been a doctor and he was used to seeing people die, so the situation didn’t affect him emotionally”. Aurelio’s frustration contrasts with the tranquility that his son shows in the other side of the room as he finishes his homework for school. “Sergio is aware that he has a disease. He knows that his muscles are broken and that Mum and Dad can’t pay for them to be repaired” says Carmen looking at her child. His parents explain that the situation at school is complicated, as “the children put him aside as he can’t play like them” and they say how he gets frustrated when he’s not able to cognitively follow his colleagues level. “Why do other children write without thinking and I don’t?” Carmen says that this is what Sergio tells her when he gets back from school. The fight for the only possible solution to slow Sergio’s disease down is the day to day of a family who succumbs their economy to the necessities of their child. Aurelio says how “the aids the Ministry has given us are almost despicable” and he explains how “the pediatrician was the one who insisted on claiming aids”. For a year, without the support of the Minister of Health, they have spent 574 Euros a month in rehabilitation, “without counting the petrol and parking”. 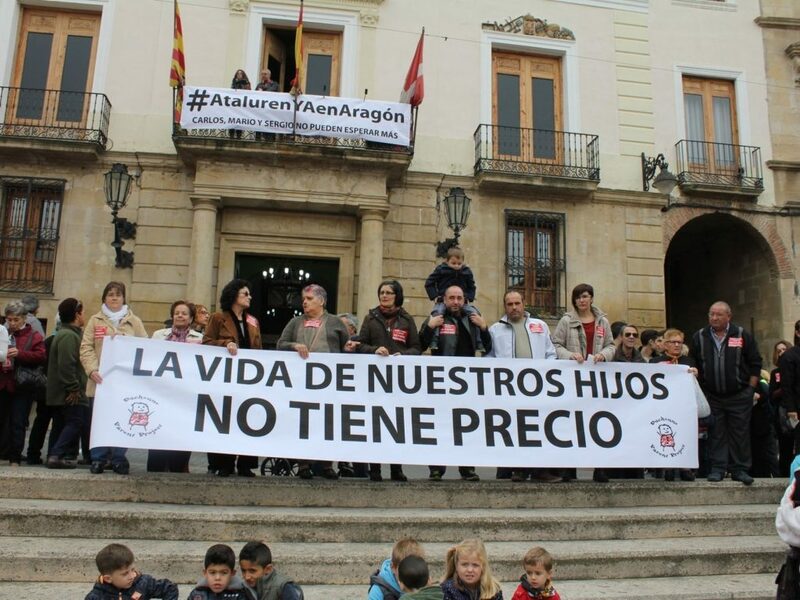 From less than two months ago they receive the “charity” of the Ministry of Health of Aragon. Aurelio, from Extremadura, confesses how they have thought of going “to another region to have the drug”. 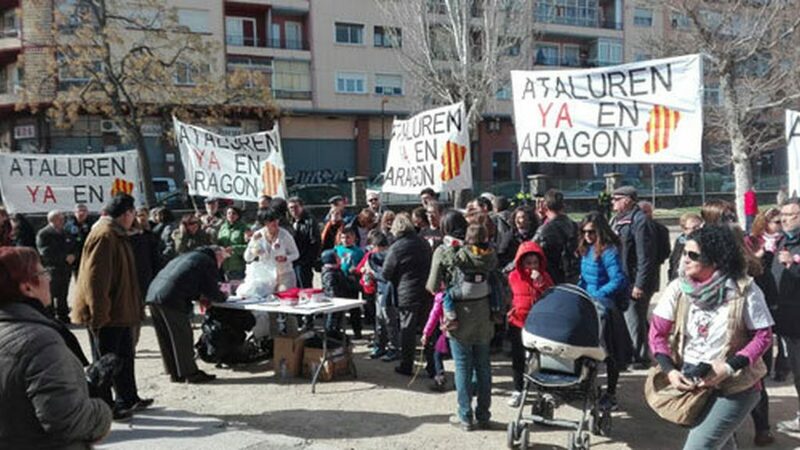 The “no” of the Ministry of Health of the Government of Aragon has been defended by the alleged “lack of scientific agreement on the medicine Ataluren by different scientist and pharmaceutical institutes”. Another alleged impediment to the Ministry of Health is its price. The drug, manufactured by the PTC pharmaceutical pharmaceutics, currently costs between 200,000 and 300,000 Euros. In one of the first meetings held by the families of the three children from Aragon with Sebastian Celaya, the director himself understood there wasn’t a scientific agreement to give the political consent to Aragon being able to provide the medicine. This led him to asking the Committee on Bioethics of Aragon for an evaluation report on Ataluren in late 2015. The Committee issued a report and studied the ethical aspects of the possible administration of this medicine by Aragon. The conclusion was negative and the Department of Health decided to not administer the drug. The report concludes that “in view of the weak scientific evidence available in this day, there are no concluding arguments to recommend its use in special situations, meaning that it’s still in the experimental phase”. The Counselor Celaya insisted that he was waiting for a scientific report that vouched for its effectiveness against the disease. However, a few weeks ago, a scientific statement was able to give hope to Mario, Carlos and Sergio. NICE (National Institute for Health and Care Excellence) recommended the use of Ataluren for the treatment of children aged five years forwards affected by Duchenne Muscular Dystrophy. It consists of an independent and international entity that, after analyzing the medicine in the III phase, supports the use of it. NICE explains the “radical change” that occurs in the disease when the drug is taken, possibly extending their motor ability to walk for seven more years. The parents of these three children have listened to hundreds of promises, empty words which assured the arrival of the drug and even gatherings defended by political parties. During the trance, they have suffered all that a parent should never have to suffer. The only thing that separates them from their desire is a political decision. Carlos’ and Mario’s parents recognize that the current president of the government in Aragon, in his political election as a candidate, promised that if he reached Presidency he would provide the drug. Irene Peralta highlights how “he gave us his word as a politician that he would do it”. Eleven months after, it’s his own Sanitary Department “who doesn’t give the medication”, Roberto states. Despite the denial of giving the medicine from the Aragonese Government, a 700,000 Euros modification of the budget was introduced a few months ago, impulsed by the political parties in the Autonomous Parliament for the year 2016. It’s destined as a subvention of the cost of patients with the condition of Duchenne. Despite it, “we have still not received the treatment” and they have no prior notification of when it will be. A few days ago, in the pre-electoral act of Podemos in Aragon, along with Pablo Iglesias it was Sergio’s Dad who explained the situation that they go through with their son’s condition. Aurelio explained to Pablo Echenique and Pablo Iglesias the constant denial of the Ministry of Health to give the medicine Ataluren. Pablo Iglesias, with a voting tone, understood that “it’s the moment to compromise” and he expressed his intention to urge his Minister of Hope to provide the medicine if it reaches the Government of Spain after the 26-J. The families of the three Aragonese children are planning to take the collected signatures in change.org to the PSOE candidate, Pedro Sanchez. They pretend to explain the situation to him and in this way make the government of Aragon “Come to reason” who is of the same political sign that the socialist candidate.